M-Brain의 Best Practice 부문장인 Joost Drieman과 영국지사 마케팅 디렉터인 Lee West가 전 세계 선도적인 마켓/경쟁사 인텔리전스 팀들이 사용하고 있는 선진적인 워게임 활용법을 이야기한다. 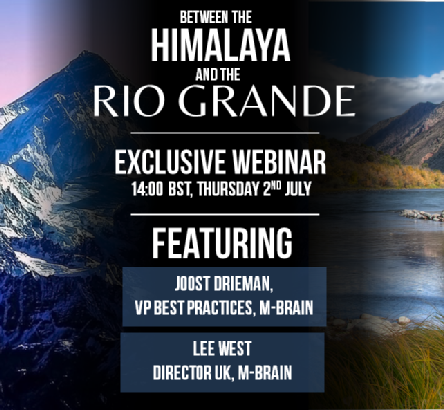 This cutting-edge webinar sees Joost Drieman, VP Best Practices, M-Brain and Lee West, Marketing Director UK, M-Brain explore advanced war simulation techniques being used by leading market and competitor intelligence teams around the world. The current fragile business climate represents a complex battle field where purchasers have grown overly-cautious and the numbers of hostile competitors seeking to invade business territories is increasing every month. Surviving in this and future climates is not only a matter of deploying resources correctly, but also in spotting the possible and most likely moves of your competitors before they've even thought of them. Developing a future-focused approach that keeps you two steps ahead of all battle opponents is key to deploying market and competitor intelligence in the most timely and effective manner.